As a destination, Vail is one of a kind. For skiers, it is a mountain without equal. As a Village, no other in America is so unique. Colorful. International. Naturally entertaining. 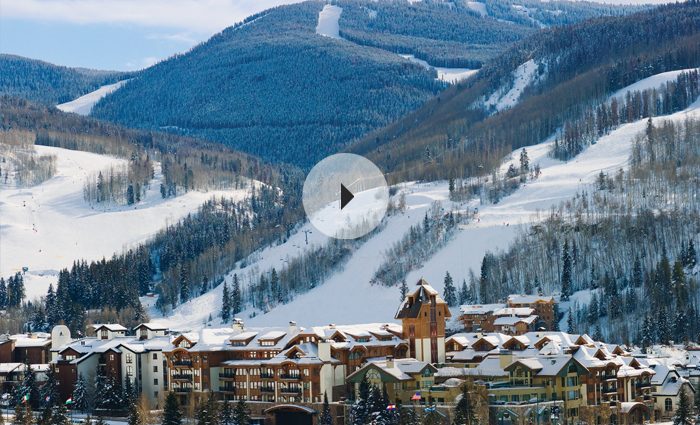 The Sebastian – Vail – A Timbers Resort, set in the heart of Vail Village, offers an eclectic confluence of approachable chic and high mountain comfort. Owners and hotel guests enjoy a cozy, residential atmosphere filled with views of the ski mountain and the entire valley. It’s just the kind of place you’ll want to return to over and over or call home. At The Sebastian – Vail, exciting venues and amenities set the stage for what is considered to be Vail’s most entertaining hotel and Private Residence Club. There’s the Bloom Spa, Frost Bar, the Library when it’s time to be social, and a visionary restaurant called Leonora. There’s a mountain-view pool with steaming hot tubs…perfect any time of day or any time of year. At the foot of Vail Mountain is our private mountain club called Base Camp, where ski valets will help you step into warm ski boots and onto the lift. Return for hot chocolate and cookies while we tune up your gear, or shed a layer as the sun warms the slopes. Whether you’re looking for a Vail ski vacation, a romantic rendezvous or a family retreat, The Sebastian – Vail has a getaway tailored just for you. Residences at The Sebastian is the ideal way to own a vacation home in Vail. And the services and amenities of The Sebastian make ownership as effortless as it is enjoyable. Please contact Real Estate Sales at 866.420.4426 (toll-free) or Hotel Reservations at 855.849.1902 (toll-free) or complete this form to learn more about The Sebastian – Vail and a representative will contact you shortly. …nothing but luxury from top to bottom. The Sebastian – Vail is simply the BEST ‘home’ we have ever stayed in. Everything is perfect—starting with reservations, our arrival, service by the entire staff, the facilities available, and the personal care and concern expressed by everyone is outstanding. Thank you very much. Our family is very happy to have invested in ownership at The Sebastian. The place is amazing, amenities are great, service is unique, but the best thing is the people. They make every day a wonderful experience. We feel this place is really our second home. I have never stayed at a nicer place. Every staff person I met, from the room service delivery people, maintenance, restaurants, to the spa greeted me with smiles and made me feel at home. I cannot say enough for how I felt like family and was treated like royalty... If I could afford to purchase real estate from you I would do it in an instant. Our experience was the best we have had. My skis and boots were bone dry every day, even just hours after I wore them. We had some great ski days. I believe that your staff had as much to do with it as Mother Nature and Vail Mountain. All of them added a level of comfort, convenience, and assistance that I have never experienced. Coming to the Sebastian has become a tradition for my Wife and I. We went on one of our first dates there and the following year I proposed to her in Vail while staying at the Sebastian and this year for our Anniversary. Each time has been a life changing experience. I would like to thank everyone at the Sebastian for helping create such great life memories. …the number one residence club in the number one ski town in the world. We have traveled all over the world and your hotel was by far the best. Someone is doing something right. Everyone had a helping hand in making us feel welcome. Thank you for a fantastic experience! …My true home away from home. I am a recent Owner of The Sebastian and my experience has been wonderful. The service is great, everyone there is committed to help no matter what their position is. They almost read your mind regarding your needs and wishes and those of your family. It really is like being at home with all the luxury and service you can think of. The Sebastian – Vail is a thrilling place with an array of sensational services and amenities that have earned it membership to Preferred Hotels & Resorts Worldwide™, as well as accolades from Travel + Leisure and Condé Nast Traveler. Hit the slopes or explore America’s most charming village. Be part of the scene and enjoy dining and drinks at Frost and Leonora. Peruse our art collection or retreat to The Library for intimate conversation. This is your time, this is your place.